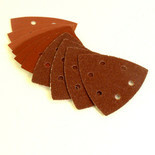 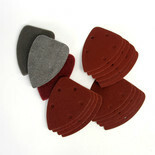 A comprehensive 18 piece set of sanding sheets and assorted abrasives for the Clarke PS105 palm grip sander. 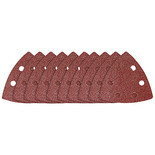 Pack Of 10 Assorted Sanding Sheets for Einhell RT-OS13. 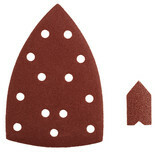 These sanding pads fit the Ryobi EPS80RS. 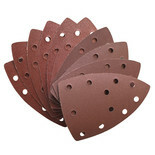 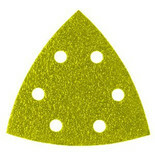 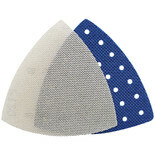 A pack of 5, 100 grit perforated, hook & loop backed, detail sander sheets.